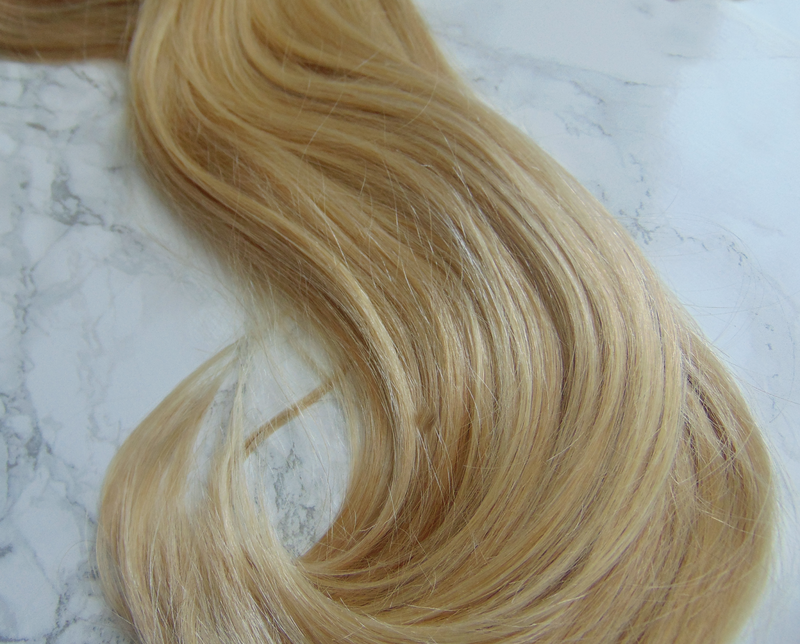 Hair extensions have a bit of a bad rep - people often think extensions are cheap-looking and that it's always obvious someone is wearing them but this couldn't be further from the truth. They've gotten this reputation because of all the people wearing crap extensions in the world. I mean, if someone is wearing good extensions and blended them well, you wouldn't even be able to tell they have extensions in! So if you're anti-extensions just keep it in mind that you've only probably noticed the bad extensions and there are so many people out there who can create beautiful looks with them. Anyway, enough of my rambling and on with the review! If you didn't already know, I'm an extensions addict. Teamed with that, I'm also an extension snob - I'm so so so picky when it comes to what hair I put on my head so it's taken me a while to find a brand I felt comfortable with and enjoyed using. Around 18 months ago I found the company 'DirtyLooks' and as the reviews were brilliant I ordered my first set. When the hair arrived it was phenomenal, I had no issues and everyone was complementing me on how great my hair was looking. 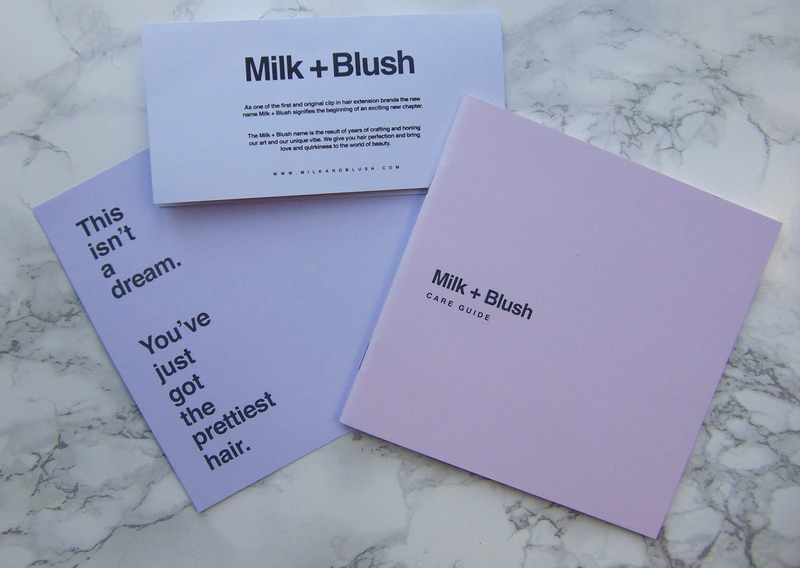 I've became quite attached to this brand over the year but when they changed their name to Milk and Blush I was a little bit heartbroken as 1) it's a little bit suspicious that they had to change their name but didn't give us a reason and 2) I was worried the hair wouldn't be the same. I got my balayage redone yesterday and my hair is now a lot blonder so I was due a new set of extensions. I was contemplating ordering from different companies but if I'm honest, I was just in a rush to get some hair on my head as I'm visiting my boyfriend and then best friend this weekend that I just went with the safe(ish) option and ordered from my beloved brand. I'm going to apologise now because the photos I took make the extensions look a lot warmer than they actually are, the two photos below are the truest I could get to their actual colour. 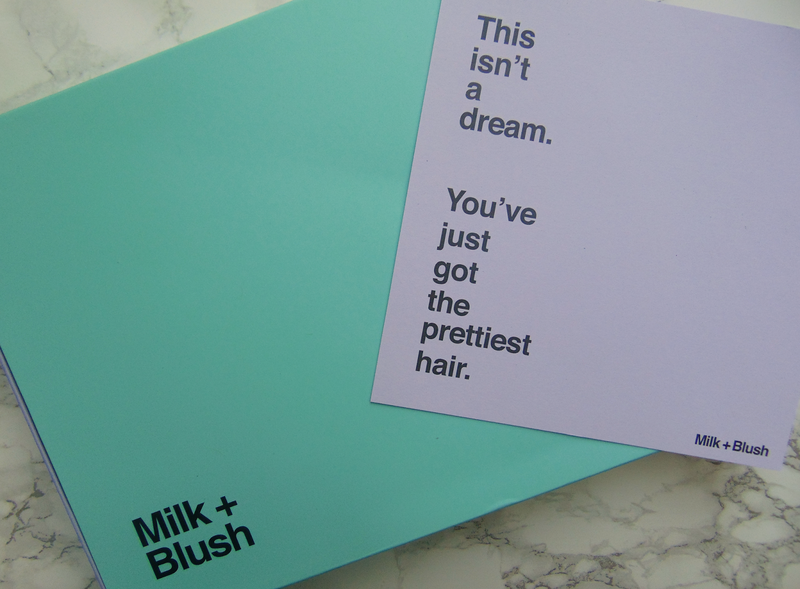 Milk and Blush have this amazing service on their website called 'Shade Matcher' (link here) which helps when deciding what shade you are, or you can just email a photo of your hair to the Milk and Blush team and they will match it for you. I would advise not to follow the pictures on their actual website as I don't think they're a true colour to the extensions. The extensions arrived in a really cute lilac tray with a mint sleeve over top and were neatly packaged inside to prevent the hair getting tangled. 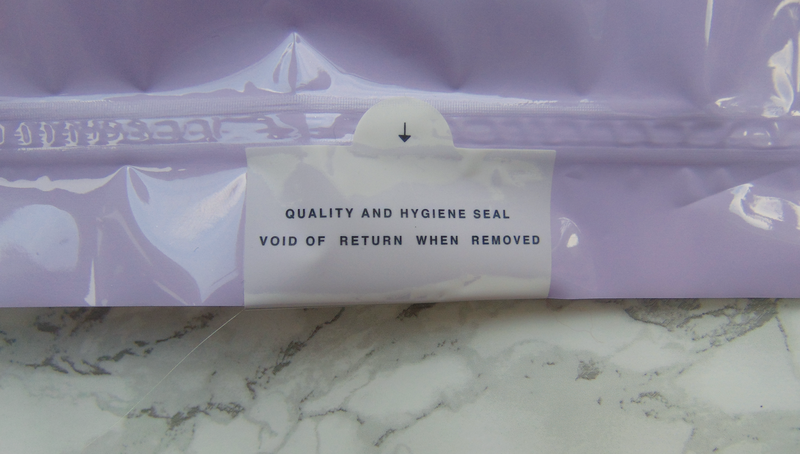 If I were to be really picky about the packaging, my only complaint would be that the mint sleeve is not sturdy at all and if you were planning on storing the extensions long-term inside it wouldn't be that secure. I wish they'd kept the old style box with a hard lid, or at least made the mint sleeve out of the same hard cardboard the rest of the box is made of. But as I said, it's not that big an issue for me as I usually throw away the box after I get it anyway. Left: new Milk and Blush packaging, Right: old DirtyLooks packaging. Leaflets of care and returns information that arrived with the extensions. 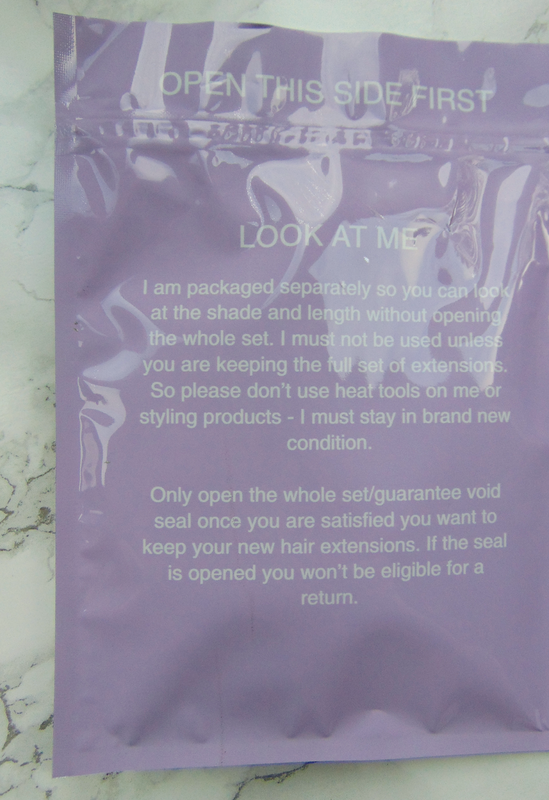 When I opened the box the hair was in the same foiled packaging as the DirtyLooks sets I had previously ordered, with one weft being packaged separately so that you can see if the colour matches your hair and if you don't open the main compartment you are still able to return them. Most extensions brands do this now but I believe Milk and Blush were one of the first. The colour matched my hair perfectly (was perhaps a quarter shade too light - but blonde hair changes all the time and mine usually lightens up after a couple washes anyway) so I opened the second compartment. 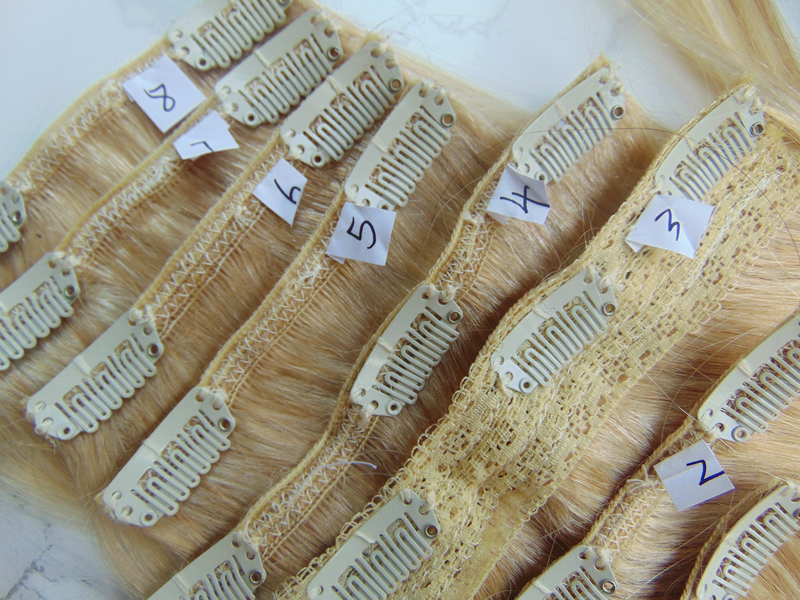 The hair is neatly packaged in a hair net and every weft is attached together with those little white barb tags (you know - the little skinny bits of plastic that attach price tags to clothes?). 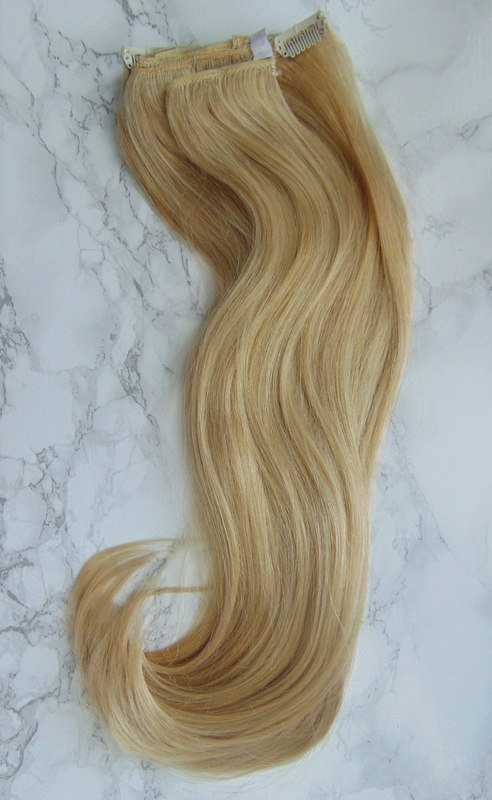 The classic set is a 10 piece set which includes the amazing quad weft. I think the company have real nailed the amount and sizes of wefts they include in the set. The set includes 1.5" x 2pc (1 clip weft), 4" x 5pc (2 clip wefts), 6" x 2pc (3 clip wefts) and the amazing 8" quad weft (4 clips). 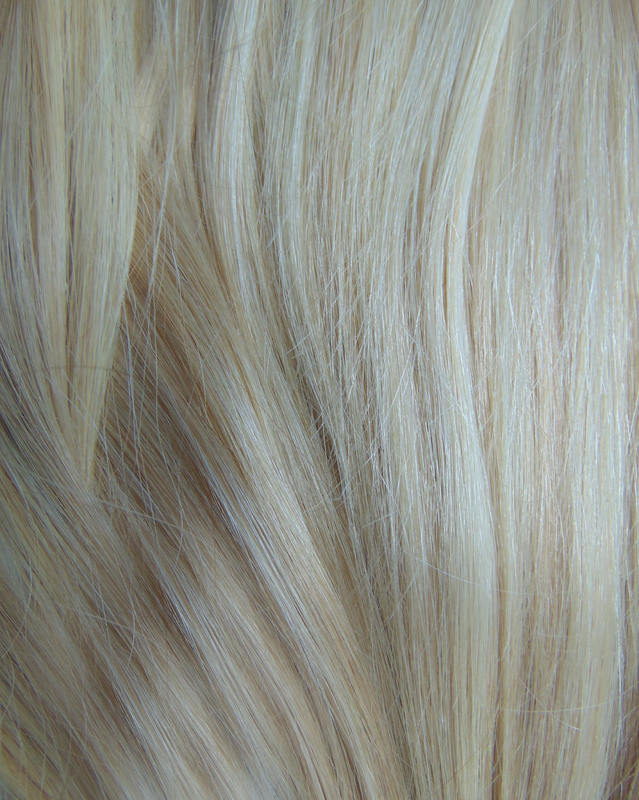 The quad weft is literally one weft that has 4 tracks sown onto it so it's really thick but not bulky on your head. I usually order a 2nd one of these to thicken up my set as I find Milk and Blush to a bit too thin for my liking but this is just because I love massive hair. Each weft is numbered so that it is easier to learn how to put them in, there is a page in the care booklet which instructs you on which numbered weft goes where but I usually completely ignore this as I've found a way that suits, however I suppose it could be useful for beginners. I just wish the little tags weren't so obvious or perhaps the same colour as the extension weft! If you're not really careful with the top wefts then the label is forever poking through and showing, especially when my hair was a dark brown. The clips are also really nice and sturdy, I've never had one of these fall off or not grip to my hair well and I'm extremely rough with my extensions, but if they did ever fall off it wouldn't be a huge deal as the sets come with extra clips that you could sow on yourself. I also enjoy that they are colour-coded with the extensions so that they don't show as much, unfortunately for me as I do have darker roots this isn't an advantage but I'm still glad they have this feature. Excuse the ghetto photo - was actually really difficult to take neat photos of these wefts! The main reason I loved DirtyLooks was because the hair was thick from root to bottom and not tapered and it appears that this is the same with Milk and Blush. However, I haven't measured these so can't comment too much but they definitely are not 22" in length. I know they are 20-22" but I feel like this is just a con and that they say this so they can charge more for a standard 20" set and never actually supply a 21 or 22" one. The whole 10 weft set. Here you can see how thick they are on the bottom. These extensions feel soft and exactly the same as the DirtyLooks hair so I have no doubts that they will wear the same also, I'm pretty convinced they are the same hair. Obviously as I only bought these extensions today I can't comment specifically on this set but my DirtyLooks hair would last around 3-4 months (that's with me wearing them every single day, sleeping in them, swimming in them, not brushing them for days, throwing them in buns and plaits and generally just not taking that much care with them) so I think if you babied these they would probably last around 6 months. Overall, they are a really nice extension and do the job. There are probably better sets on the market but for the price these are excellent and suit me perfectly. 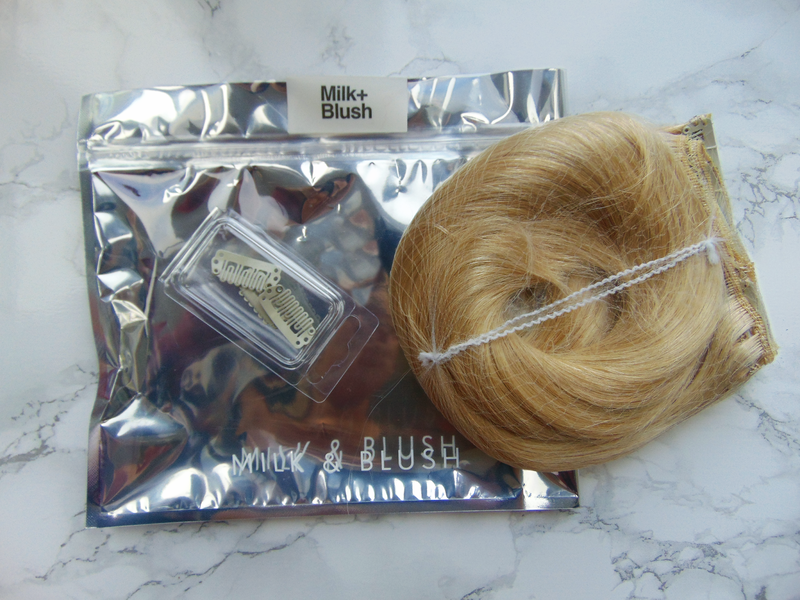 I have a review of the milk and blush blending wefts here and I was more than slightly disappointed. Have you ever bought extensions? Which brand are your favourite? I've been wearing these for a week now and they seem a lot nicer actually than my usual DirtyLooks. Really impressed!! Thanks for the review! I totally agree with you, extensions shouldn't have such a bad rep because there are definite levels to how nice and natural they are. I used to wear some when working at a hair accessory/extension store back in college and theirs were beautiful and I loved wearing them. Thanks for the intro to this brand! People will only notice bad extensions so people with no experience just automatically presume all extensions look crap! I get all the time 'but it doesn't look like you're wearing extensions' - how can someone look like they're wearing them haha! I'm just about to try clip in extensions for the first time! Super excited about it! I am with you: With extensions, you get what you pay for. And if you buy crap, they will look that way. But if you pick carefully, they can look awesome. I see so many bad hair extensions it hurts, and it's not that hard to get right! These seem pretty much the same to me! I don't think they've changed the hair at all :) If anything this set seems nicer and thicker but that may be just me imagining things. 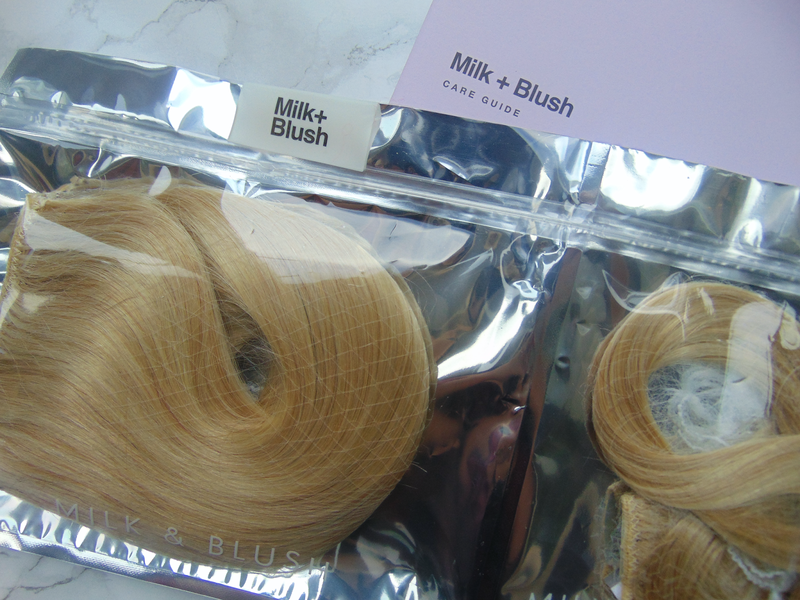 I've never used extensions before but if I was going to I would definitely check out Milk and Blush after this review! These look awesome and like real quality! I've never tried extensions but am always tempted. They just look so hard to put in?! I should really give them a go! You're right - quality makes such a good differences, and these look amazing! I'm glad that you had such good luck witg your dirty looks/milk and blush extensions. I'm sad to say that I have not. I have tried 2 different sets now from them, and even though I take very good care of my hair witg the best extension products available, after only a few weeks the hair becomes horribly dangly and mangy looking unless you're brushing it every 5 minutes. I can't wear it down, only in a braid. After spending that much money, it's sad that their product is so bad. I will never buy again nor reccomend.